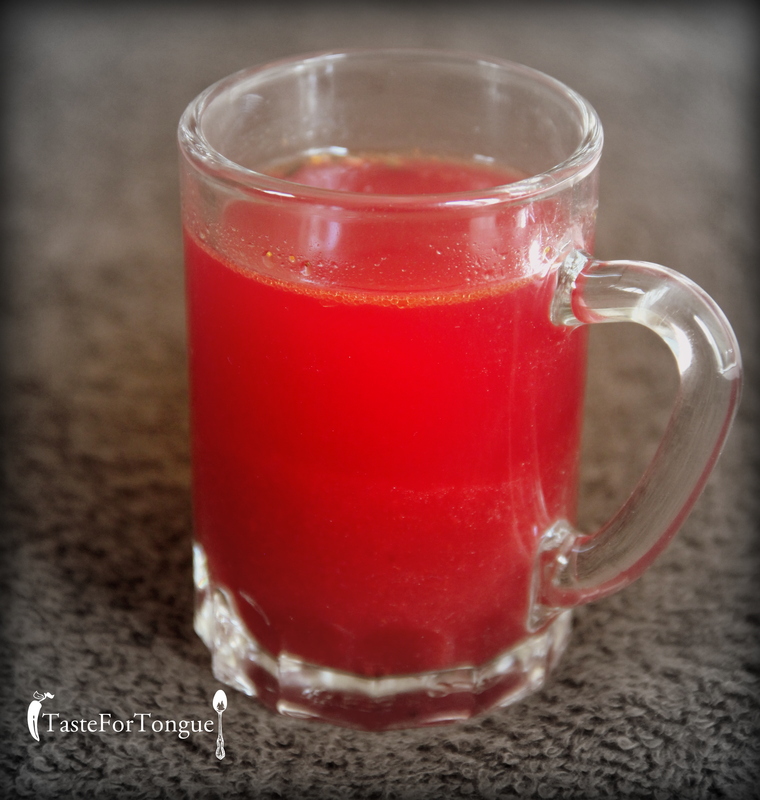 Today’s recipe is Beetroot Saaru. Yesterday during a long telephonic conversation I got this recipe from my mother in law. Tried it for the first time. Its healthy and easy to prepare hardly takes 15 minutes for preparation. I am not a big fan of anything other than beetroot stir fry but my husband liked it very much. Peel the skin and cut beetroot into small pieces, along with rasam powder and tamarind grind it into smooth paste by adding little water. 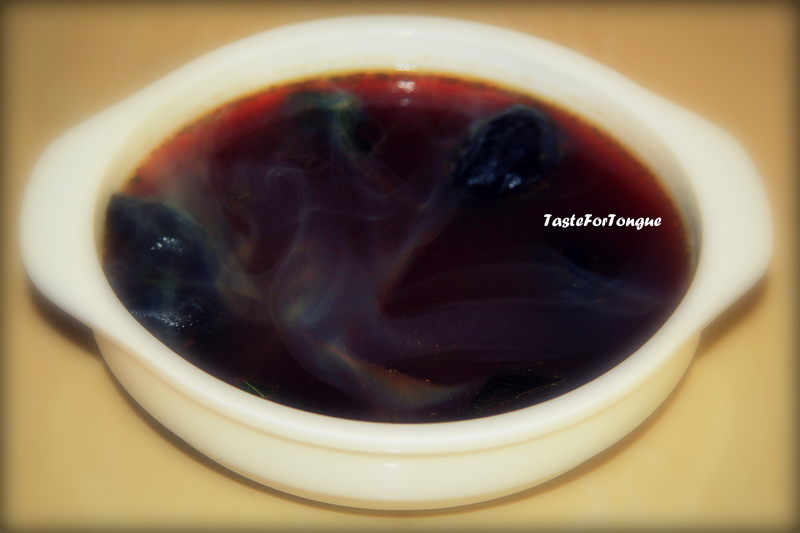 Now transfer it into a vessel and add 1 cup of water mix it well add salt, green chillies, pepper powder and boil it well. 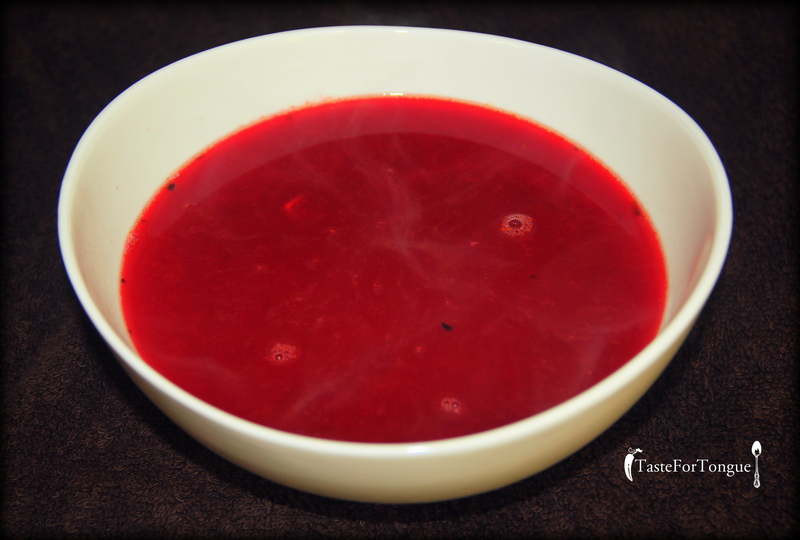 Tamper it with above mentioned ingredients and beetroot saaru is ready. You can drink it or have it with hot rice and papad.